December Fun & Fancy Card Class! 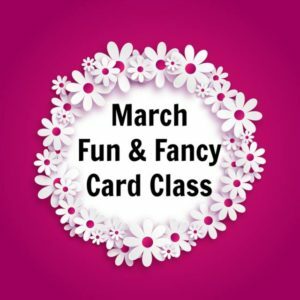 Hop into Spring at a Fun & Fancy Card Class! We will be using brand new products from the just released 2019 Stampin’ Up! Occasions Catalog! Grab a snack and chat with new and old friends while you create four gorgeous seasonally themed greeting cards. Reserve a spot today by clicking Tickets URL.